The famous American rock gothic band back to Italy! Evanescence, after five years off, officially back together. They do also live, with a concert in Italy on July 4th, 2017. The location is the SNAI Ippodromo in San Siro at the Milan Summer Festival. Concert Evanescence, Milan 4 Juli 2017! At the end of each long tour you need to tidy up their own ideas. I think at the end of the race will take a break for a while ‘to understand something. And now it seems to be the time of the expected comeback. Opening Doors is at 19:00 and the beginning of the concert is scheduled for 21. Tickets available on ticketone.it from 10:00 Thursday 22 December. 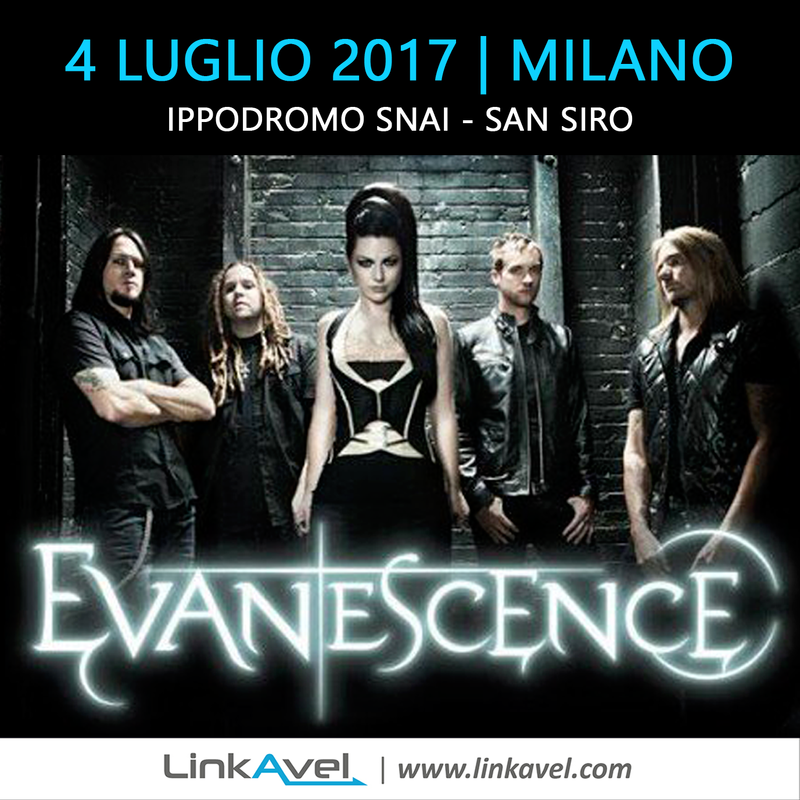 Concert Evanescence, Milan 4 Juli 2017! Do not delay, book your bus for the Concert Evanescence, Milan 4 Juli 20177!